These are the first international awards recognizing outstanding work in the field of data journalism worldwide and were given during the DJA Awards Ceremony and Gala Dinner at Hofburg Palace in Vienna. 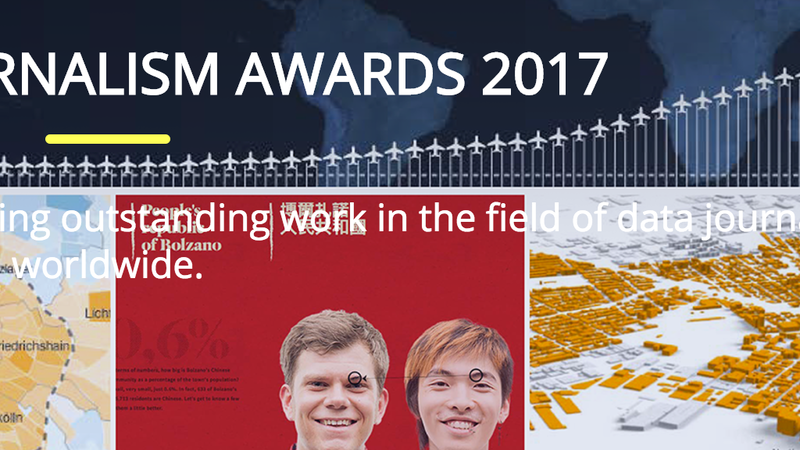 This Thursday, the Gen Summit revealed the Data Journalism Awards winners for the 2017 version. The DJA Jury presided over by Paul Steiger, selected 12 winners out of the 63 finalists. According to Steiger, “they make out the best of what the world of data journalism had to offer in the past year”. Each winner received an award and a cash prize. Se trata de los únicos premios internacionales que reconocen el trabajo excepcional en el campo del periodismo de datos en todo el mundo. 🎉 All set! You subscribed to our newsletter.